A Scottish style bridge built by D.S. 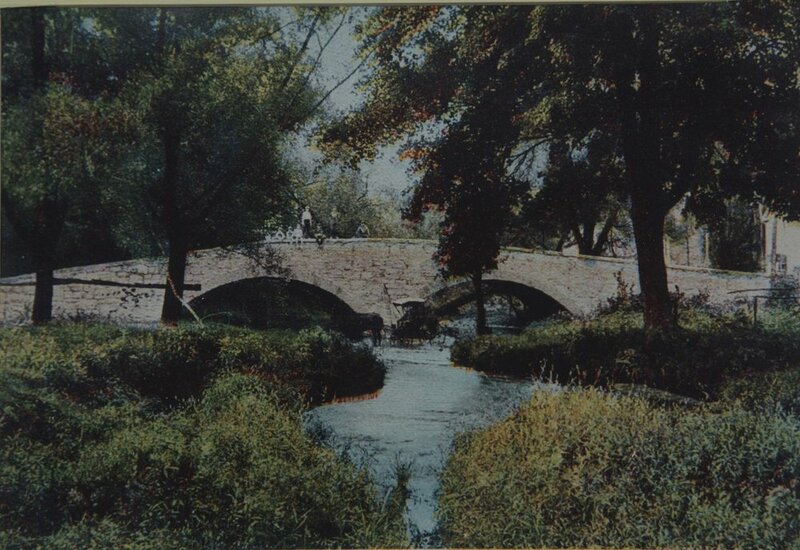 Stoner over the Antietam Creek around 1798, Mr. Welty opened a mill and distillery manufacturing a brand of rye and malt whiskey famed for over a century. The bridge is a double-arch stone bridge, which sturdily handled automobile traffic until the late 1980's when it was abandoned for a more modern bridge built nearby. Welty's Mill Bridge is again in need of repairs. An important part of Waynesboro History, the Society's goal is to raise funds to have the bridge repaired.